While we are at events, we typically display a few items that the general public can purchase for recommended donations as well as leaving donations in our chest. These are purely voluntary, and depending upon the arrangements at events, there are a few we do not have donatable merchandise at. Some events we ca arrange a donation fro the site or persons wishing to trade our educational outreach services in exchange for a donation to the SPHS's fundraisers. Contact us to find out more. We have a reproduction 18th Century period accurate flie (pavilion) that measures 10' x 10' x 8' high (a 12'x 12' space is required for ropes). We do have a modern E-Z Up for street festivals where grass or sand is not available. 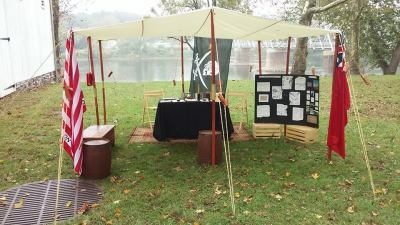 ​From this shelter we deliver the bulk of our educational and entertaining living history demonstrations. Most people are fascinated by the 18th century weaponry. An almost lost craft where art meets science. These are real black powder weapons, and they do discharge spark, fire, sound and smoke. The SPHS prides itself on it's high safety record and entertaining, but educational display of history. No matter where we are or what we are teaching, our lessons in history are interactive and engaging to all ages. It's a cross between performance art and a history lesson. 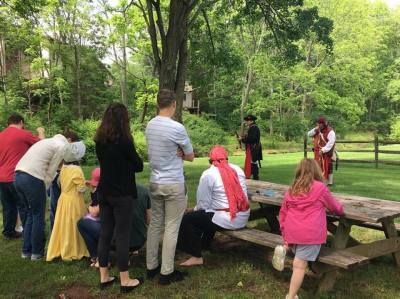 Each of us has a different approach and persona when teaching the various topics regarding Privateers of the American Revolution. For a donation to the SPHS we will bring our brand of Educational Entertainment to your occasion and make it just a bit more personalized to suit your needs. We are not in the habbit of turning down events or functions unless we are booked for an event on a particular weekend. We love to do private as well as public events! Tavern nights are always a fun time. Your establishment benefits on an increased patronage, entertainment, and a unique opportunity for publicity. ​We can give you a historic edge that most groups cannot. 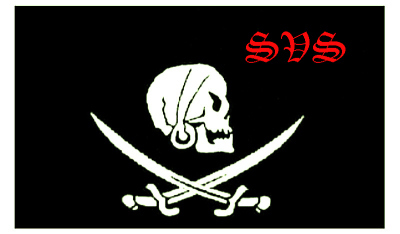 Especially with the popularity of Pirates these days. 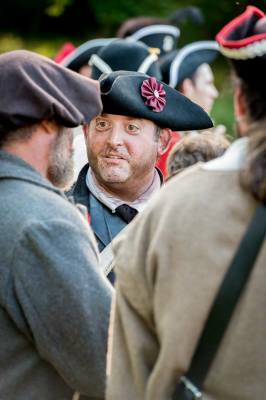 We can even help you find musicians that perform period music, provide historic and entertainment trivia. ​Let's make that tavern come alive! Whether it be a historic site, corporate event, birthday party, or wedding, we can accommodate a wide variety of things that are rarely seen in events of this caliber. Our Captain can even perform wedding ceremonies as he is an ordained non-denominational ULC minister. 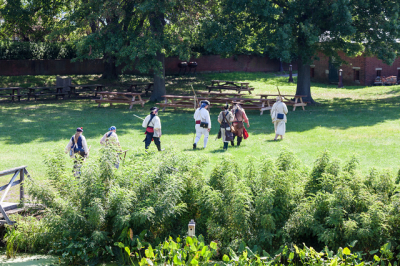 Are your students learning about the revolutionary war? We have some history that isn't in most school text books until you get to an advanced college level course learning US History. 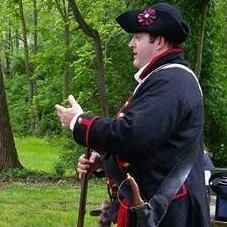 ​Want to put your students on an even keel learning about the first real heroes of the Rev War? Want to get them interested and excited about history? We know where to start!